JenniSixx and I are currently planning some day trips. Every summer, we try to visit a few of the coastal towns around Massachusetts. Mainly, our day trips are to towns on Cape Cod and the Islands (Martha's Vineyard & Nantucket). Of course, for me, planning my outfit is the most important. This is what my day trip outfit usually looks like . 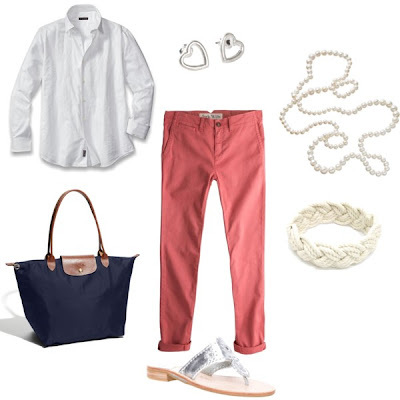 My outfit is usually preppy, seeing as preppy and Cape Cod go together. I love getting my prep on. It's so Cape Coddy as JenniSixx says. What do you think of my day tripping outfit? Let me know I love hearing from you!